THIS TOP-ROW, CORNER condo offers complete privacy, serenity and gorgeous views combined with over $200,000 in upgrades. Enjoy Molokini views from the main lanai, nearly year âround sunsets from the upstairs lanai, and Haleakala views from the guest bedroom. Upgrades include new limestone flooring throughout both levels, a remodeled kitchen featuring upgraded cabinetry with deep-pot drawers and roll-out shelves, an extended lanai with outdoor kitchen, Jacuzzi, and a 10KW photovoltaic solar system with net metering which has reduced electric bills to nearly zero. 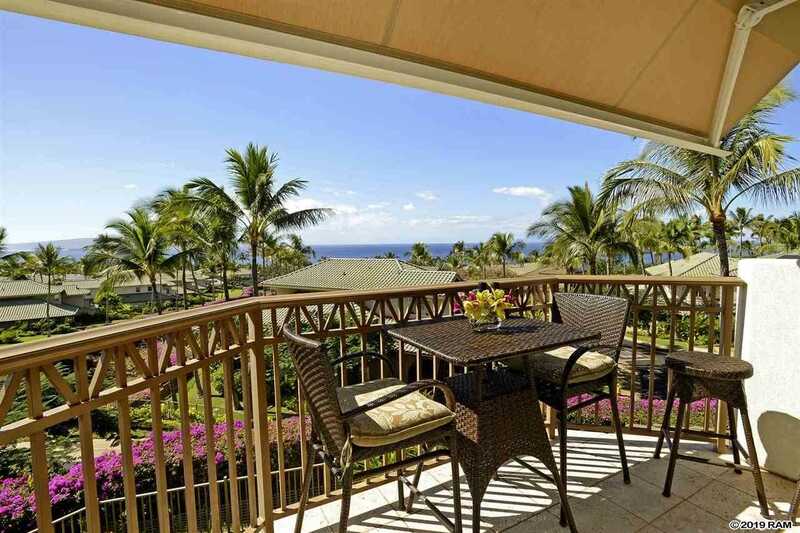 This unit is the popular Lewa model, which boasts the larger living/dining room and lanai. It is the only Lewa that has a door from the interior living area directly into the garage. Add to all this, plantation shutters, electric solar shades, triple-zoned A/C, a whole-house, high-tech water-filtration system and you can appreciate why 70A is truly a ONE-OF-A-KIND condo. Just a short stroll from the front door is Waileaâs most beautiful infinity pool, steam-rooms and saunas, plus view-facing fitness center. Please, send me more information on this property: MLS# 381250 – $1,800,000 – 72 Kainui Loop Unit 70a, Kihei, HI 96753.